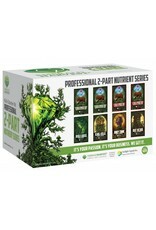 Emerald Harvest Kick-Starter Kit gets you started off right. There’s a lot to like about the Emerald Harvest line. And with this kick-starter kit, you get it all. One of the things I think I like about this kit more than other kits, is instead of getting nothing but small sample sized bottles for the entire line, which doesn’t get you very far. 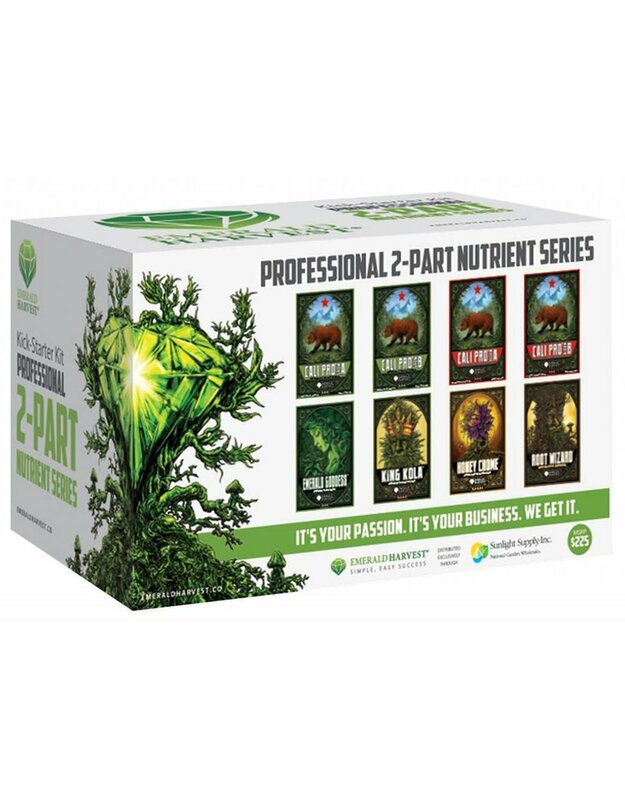 The Emerald Harvest Kick-Starter kit actually comes with full quart sized bottles for their base nutrients. That was you can actually get a full run in, without having to go back to the store and buy more because it didn’t come with enough. But enough about what I like about this kit, let’s get into what you’ll like about this kit. It comes with a full Quart sized base nutrient, and their supplements. In short, these supplements come in 4 bottles. A root booster, a flower booster, a resin enhancer and an organic additive. Everything you need to get your plants from start to finish in the best possible way. Now let me show you a bit more about each of the things in the kit, and what they can do for you. With Cali Pro, you spend less time measuring and tweaking your feeding program and more time tending to your high-value crops. Out 2-Part base nutrients are popular with growers who prefer to keep things simple. With Cali Pro, feeding your crops couldn’t be easier. Just mix equal portions of parts A and B according to the application rates on the bottle or the feeding chart best suited to your flower. 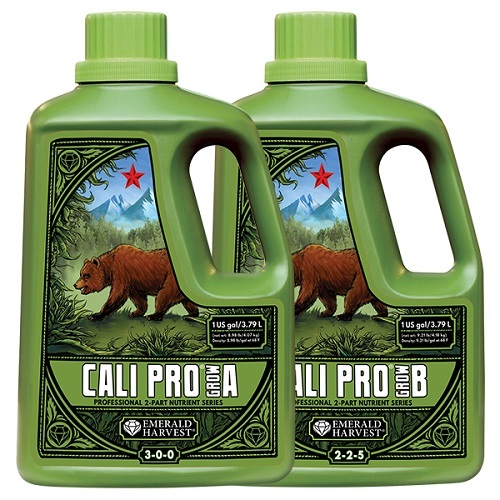 Cali Pro takes the math out of growing! Maintain the water temperature in the reservoir at 62-70F (16.6-21C) and it’s PH at 5.6-6.3. Add and silute Part A to the reservoir first because it has more reactive ingredients in it. Mix it well and then add part B, followed by any or all of the supplements. Store away from direct sunlight and avoid temperatures below 45F (7.2C) to avoid crystallization. Get more nutes into the roots with Root Wizard, a massive root builder containing multiple strains of plant growth-promoting rhizobacteria (PGPRs) that invigorate the root zone of plants growing in hydroponic gardens. These myriad beneficial bacteria help increase root mass and enable your plants to absorb more nutrients more efficiently. Root Wizard inoculates the Rhizosphere, rooting out problems where it matters more. 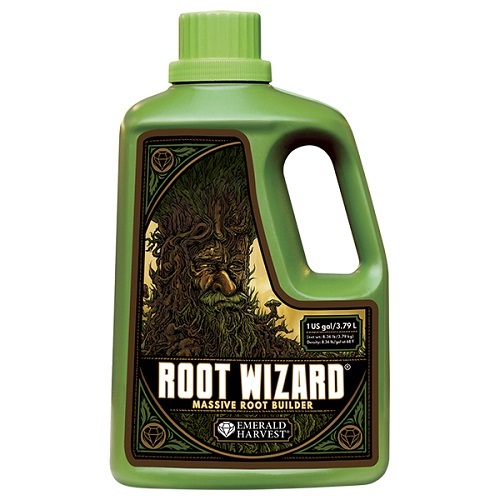 Use Root Wizard in either hydroponic growing media or in soil. It won’t clog your lines. Use as a foliar spray to coat leaves with beneficial bacteria on the upper plant. Honey chome it their gold-standard aroma and resin enricher. It is designed to increase the market value of your crops by boosting terpene and flavonoid production for better fragrance, flavor, potency and color. The qualities most desired by growers. Three sources of carbohydrates boost your yields by fueling growth and flowering and by feeding the beneficial microbial life that build up roots. 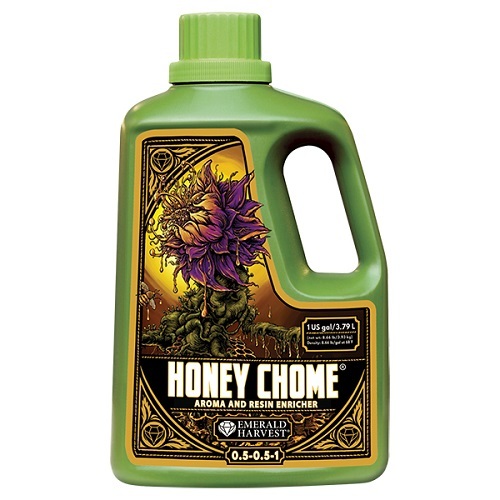 With Honey Chome, you get vibrant crops with big roots that soak up nutes. Do not use as a foliar spray; apply only at the roots. Application to leaves risks “Suffocating” your plant. Apply to seedlings or cuttings at ½ the label rate to stimulate growth. Seedlings may exhibit heightened growth rates when fed simple sugars. 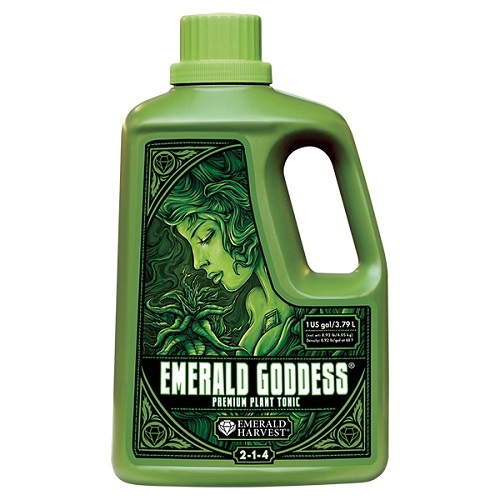 Emerald Goddess is a versatile plant tonic that supports vibrant, productive crops. Designed to be the most potent biocatalyst on the market today. It is a rich natural tea containing compounds found in nature, including alfalfa, kelp extract, humic acid, vitamin B1 and other beneficial additives. This potpourri of invigorating ingredients helps your valueable plants grow strong and bear big fruits. Emerald Goddess loves your plants as much as you do! Use on any plant stain at any phase of the crop life cycle. Can be used alone for light-feeding plants or as a supplement to hydroponic base nutrients for heavy-feeding high-value crops. Use as a foliar spray in dilution and ideally mixed with a surfactant. Use as a root drench in soil or dense growing media. King Kola is the only bloom booster you need for early mid and late flowering. In addition to a boost of phosphorus and potassium, it is the only product of its kind that contains protein from hemp. While other bloom boosters contain bovine or other animal-based proteins, King Kola contains a vegetable source of protein, which can aid floral development and assist chelation for better nutrient uptake. You don’t need three bloom boosters when the “king” is at court. Use in early, mid and late flowering. The king is the only bloom booster you need throughout flowering! Apply as a foliar spray to improve crop resistance to stress.